The extended Green family of Lansing, Michigan, has worked for GM for a combined total of more than 300 years. Thanks to you, the Green clan is still cranking out cars in Lansing, Michigan. 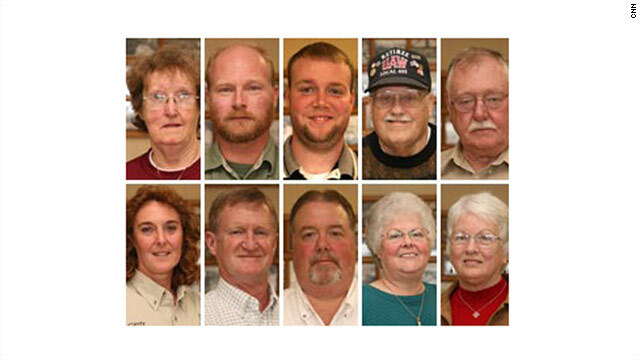 CNN introduced you in November 2008 to 10 members of the family who had provided a collective 300 years of service to General Motors and the United Auto Workers union. GM's future was hanging in the balance as the federal government weighed whether to save the automaker with an infusion of billions of taxpayer dollars. "We're not asking to be bailed out, we're asking for a loan," Mike Green, the president of UAW Local 652, said at the time. "We're not asking for a handout, we're asking for a hand up." The $50 billion loan was approved, a new version of GM emerged, the taxpayers recouped their money, and the extended Green family kept working. "I think the government made one of the best investments it ever made," Green, now 50, told CNN this week. "I'd like to thank the American public for having faith in an American company." Green has been re-elected as president of UAW Local 652, his sister Cindy DeLau continues to work on assembly line ergonomic improvements, and his son Rollin, 26, is "hanging in" at GM's Delta Plant, just west of Lansing, despite having been laid off a couple of times in the last three years. Painful concessions by the UAW were part of the survival plan, Mike Green noted. "Because of the sacrifices of the membership, we made it through," he said. Not only did GM survive, but it's bringing 600 to 700 more jobs to Lansing next year when production starts for a new Cadillac product. "It's been good for Lansing," Green said. "We appreciate that GM is bringing work here. That's what we do here. You bring it, we'll build it." Cheap imported steel, (cheaper in *every* way) drove the big mills under, not unions. Could your u/n BE any longer? Hello, sir, how are you? Should of used their money more wisely, let them go under. Government stop bailing out corporations or companies. I understand that people will loose their jobs. But the only way we can make our country better is by weeding out the corrupt greedy individuals who plague it.